A wide variety of music styles are sung, including but not limited to pop, classical, soul, blues, jazz, rock, barbershop, spiritual and gospel. We mostly learn and perform SATB or SAB pieces, interspersed with some ladies’ and men’s songs and a few solos and small group pieces. Although the majority of the songs are in English, we also include at least a song or two from other languages in each repertoire (recent examples are French, Latin, Hebrew, Italian, Czech, and Luxembourgish). You can listen to some of our workhere. 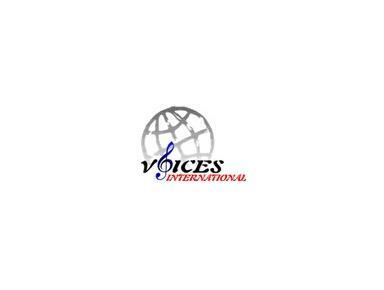 Voices International was founded in 1997 by Peggy Jenks and a few enthusiastic singers soon after the close of a local production of the musical “Oklahoma”. She had inquired of the performers in this musical whether they might be interested in continuing to “get together and sing”, and their response was very positive. A few weeks later the early roots of Voices International were planted. Voices International is a non-profit making, charitable organisation, and is currently run by a comittee. Since 2004 VI has been a registered a.s.b.l. (association sans but lucratif) under Luxembourg law.